Company magazine publishing & newsletter design is now multi-channel, multi-media and multi-platform. Corporate publishing is definitely on the up. It’s a great way to keep your customers, employees and stakeholders engaged. Encouraging a sense of community,continuity and advocacy through relevant content – is king. And, once created, content can be designed, published, fed, downloaded, streamed or accessed on-demand. In fact there has never been so many ways your investment in company magazine design can be published. Content can be delivered to your marketplace through more than one channel and used to populate multiple communications. All of which serves to build awareness, standout and brand differentiation. The Design Inc company magazine publishing & newsletter design team includes previous winners of the prestigious Communication in Business Awards (CIB) in magazine design for blue chip, charity, membership associations and NGO magazines. Our core team includes brand strategists, content editors, writers, designers and artworkers. All with a long history of experience in corporate communications. We can also manage the production process for you and ensure that the print, fulfilment and distribution of printed and digital copies is optimised. Furthermore, we are also able to store, archive and print on demand. With most magazines and newsletters being published multiple times a year, it is often the case that we have a few different publications being designed at any one time. 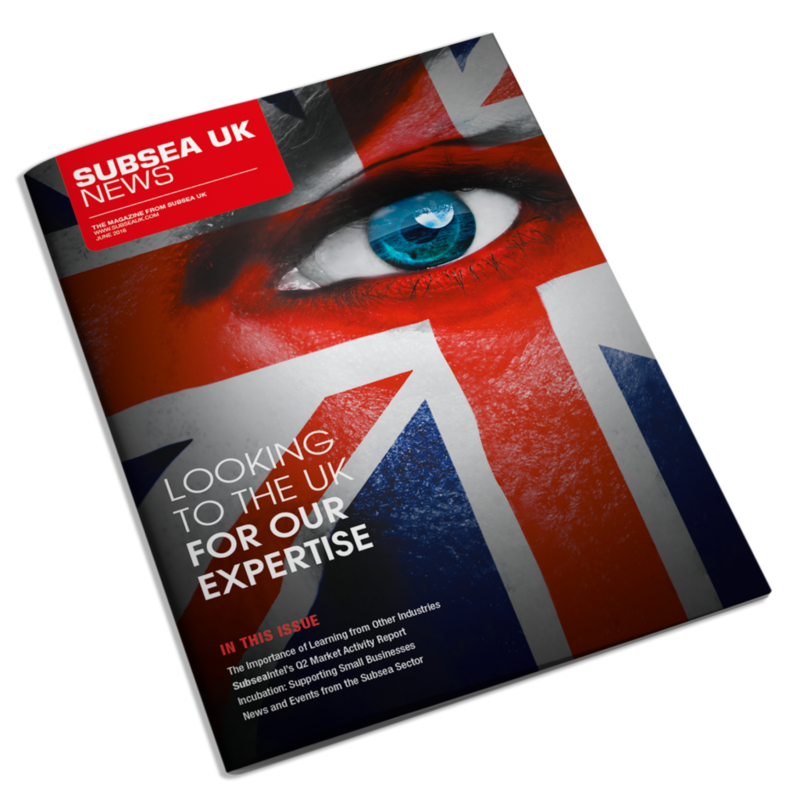 One particular magazine we have been publishing for many years is Subsea UK News, the well-respected industry magazine produced by Subsea UK, the governing body for the UK’s subsea industry. This magazine is published three times a year and we are pleased to have just completed the latest edition. In fact, this latest edition marks a significant milestone as it is the 25th edition of this magazine to have been published by Design Inc.
Subsea UK News has been running for some time, initially as a newsletter with a circulation of less than 1000 and then, after a significant rebrand in February 2012, as much more dynamic, relevant and advertising-friendly magazine that enjoys a circulation of over 15,000.